When someone thinks about the issues surrounding time-sharing disputes, envisioning a child in this conflict makes sense. However, modern technology has greatly expanded the possibilities of reproduction, and couples previously unable to conceive are now able to have children. Further, they can also postpone parenthood until much later through the use of frozen embryos. 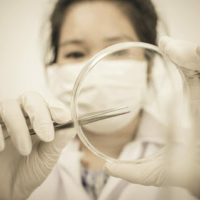 Harvesting reproductive material for the purpose of creating embryos is a technique growing in popularity among professionals who wish to choose the time and place to start a family. While this arrangement is fine for couples who can agree on the storage and use of the embryos, if disagreements occur, usually on the heels of a breakup or divorce, complicated legal issues arise. Most states have not adequately addressed this issue, which leaves a lot of uncertainty around who owns the embryos and who should get to determine how and when they are used. Actress Sofia Vergara is fighting her ex-husband over the possession of embryos created during their marriage. Florida has handled this thorny issue to some degree, and a discussion of the law on rights for reproductive materials, as well as methods to avoid potential legal battles, will follow below. Jumping to the reason behind freezing embryos, any child born to a married couple conceived via artificial or in vitro insemination is presumed to be the couple’s child as long as they entered into a written agreement for reproductive services. Further, the same rule applies if donated reproductive materials to conceive a child are used if both parties consent. This rule on a child’s parentage is supported by the fact that individuals who donate eggs, sperm or pre-embryos surrender any right they would have as a parent, and are only permitted to receive reasonable compensation for the donation. Note this elimination of parental rights does not apply to those seeking to conceive with donated reproductive materials. Coming back to who controls stored eggs, sperm and embryos, Florida law directs that the couple and treating physician execute a plan for what happens to these items upon divorce, death or other unforeseen event. Absent an agreement, the statute grants rights to the party that provided the eggs and sperm. However, if there is no agreement, and the reproductive materials were not kept separately, resulting in an embryo, the statute simply states that decision-making authority applies to the couple jointly. The law fails to address which position should control if one half of the couple wants to dispose of the embryos, and the other half wants to use them. Thus, courts will be left to sort out the rights of each party in this situation. The easiest way to reduce potential legal disputes is to keep the eggs and sperm separate until ready to attempt conception. Since each party retains control over his/her contribution, if a couple divorces before the reproductive material is combined, each can independently and exclusively decide what to do with his/her half. If, on the other hand, a couple is set on creating frozen embryos, before any medical procedure is performed, be sure to execute an agreement on what happens to the embryos if divorce or another event occurs that severs the relationship. If you are considering storing embryos for future use with a partner or spouse, talk to a family law attorney about the rights and responsibilities granted by the law, and whether an agreement governing this situation is necessary. Attorney Joyce A. Julian, P.A. helps clients in the Fort Lauderdale area with a variety of family law issues, and is ready to assist you with this sensitive matter. Contact the office for a free consultation.